Hi again! 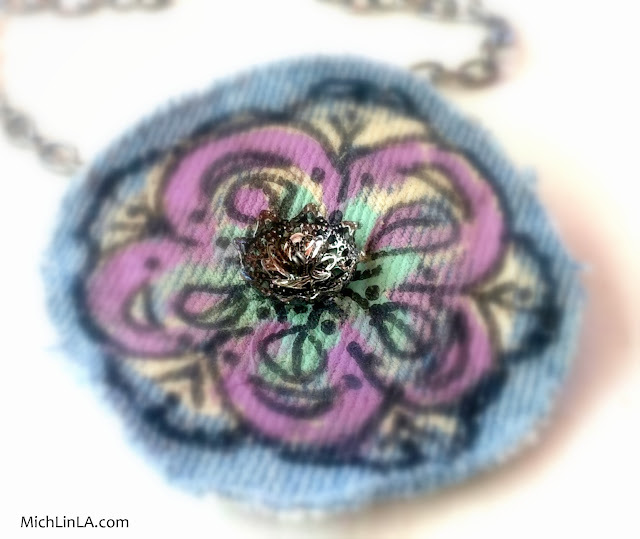 While I'm on the subject of recycled denim jewelry (see last week's post with roses made from blue jeans), I thought I'd show you an updated version of a different style of blue jean pendant. Today's necklace is madly simple to make, hand-painted, and eco-fabulous. And you end up with...cuteness! There's a hidden bail in the back, made of felt. 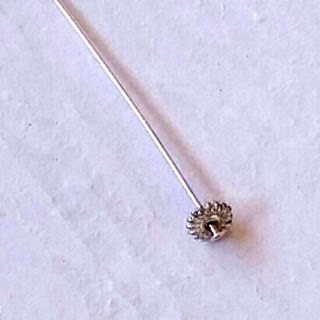 In my original version, I used little metal nailhead studs to connect the pendant to the bail. A really fun, casual chic look. Here my sweet friend Kim models one so you can see it on. 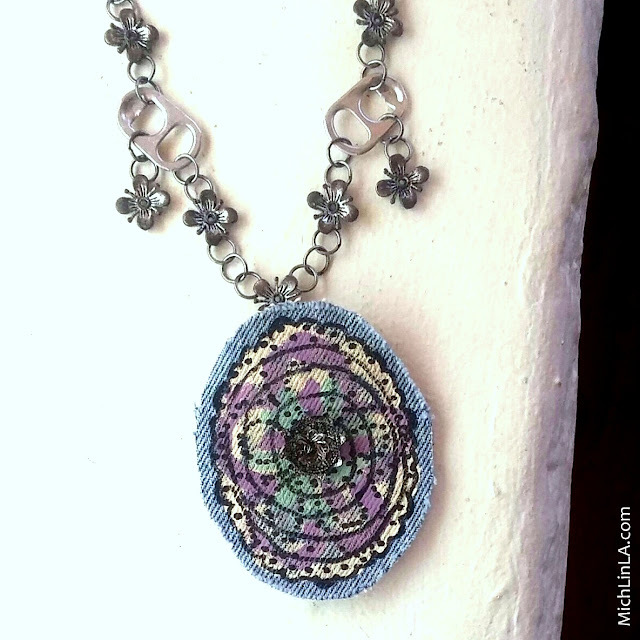 I punched up the look with metallic necklaces, to echo those mixed-metal centers. Okie dokie! 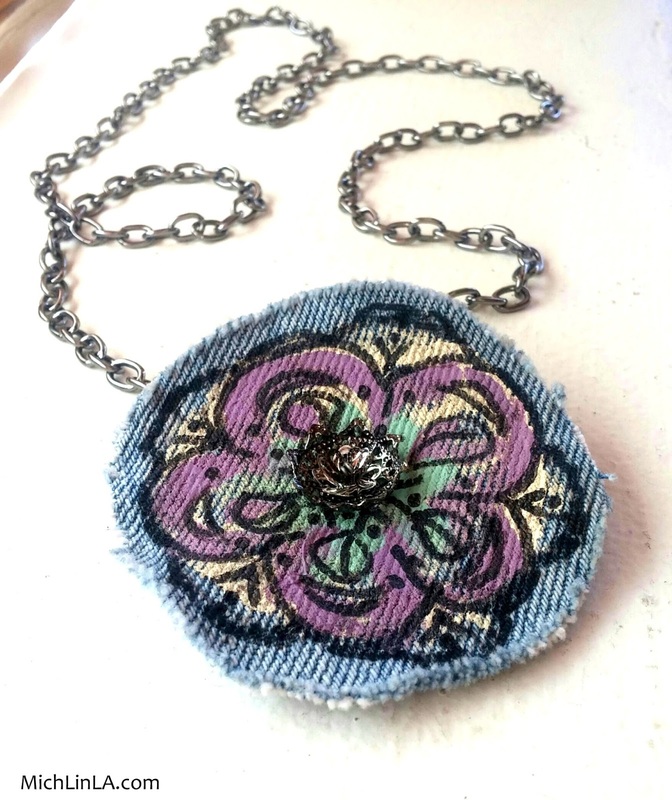 I hope you get inspired to grab your denim scraps and play. Oh, what fun! Love these sweet demin creations. 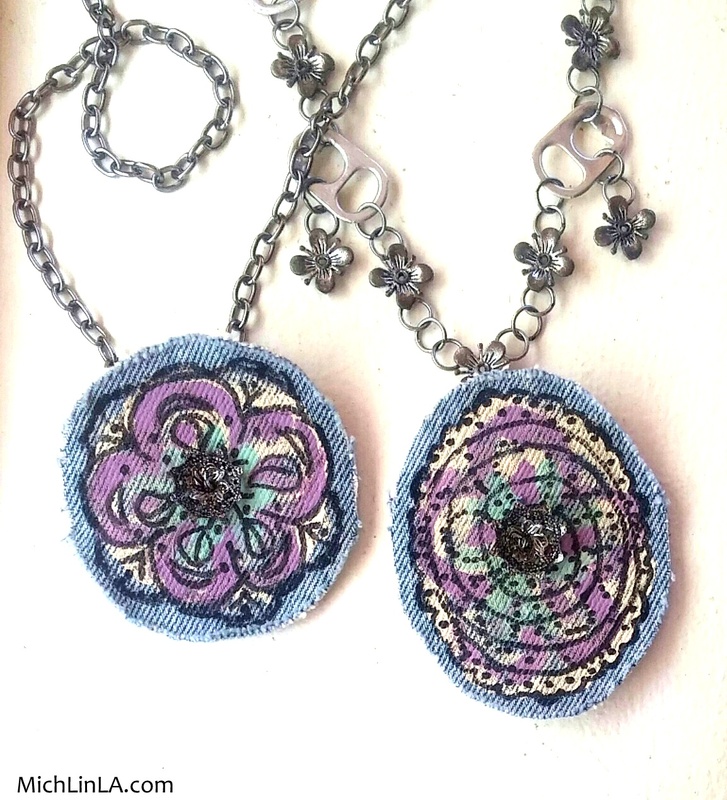 These would make awesome embellishments for bags, or even on jeans. puedo preguntarte que clase de pinture usaste? es para telas? Hola Sandra, gracias!! No, de hecho, es mejor NO utilizar pintura para telas - esa se queda muy flexible. Las otras pinturas se quedan mas rigidas para hacer un dije un poco mas duro. Beautiful idea dear Mich. These denim pendants are perfectly done :) Your friend Kim's smile is enough to make someones day :) so cute!